Turmeric as a herb has been used in Ayurveda since ancient times. Today it is popular in the culinary world for its flavour and has recently been gaining a lot of attention in western medicine thanks to its medicinal properties. 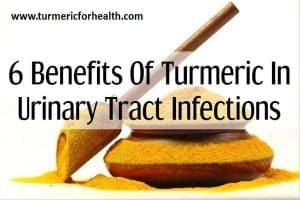 Curcumin is the bioactive ingredient of turmeric that is mainly responsible for its medicinal value but turmeric has a number of other compounds that have medicinal properties. Needless to say curcumin is an anti-cancer agent. Apart from exerting anti-tumor properties against cancerous cells by itself, curcumin also acts as a chemosensitizer. What is a chemosensitizer and how it helps? Curcumin reverses multidrug resistance by intervening in the activity of proteins that regulate this resistance and inducing DNA damage only in cancerous cells. It induces apoptosis or cell death in cancerous mass. It disrupts biochemical pathways that support cell survival. It is hypothesized that curcumin can reduce growth of self renewing cancerous stem cells. Note:Turmeric and its bioactive ingredient curcumin have excellent anti-cancer properties. Additionally they also sensitize cancer cells to chemotherapeutic agents and reverse drug resistance. We will be going over various scientific evidences in the form of research studies and clinical trial which have evaluated the role of turmeric or rather curcumin as a chemosensitizer in various types of cancer. You may come across a few chemical names, these are just the names of chemotherapeutic drugs. Breast cancer is the most leading cause of cancer in women. 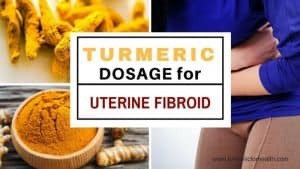 Researchers at Rajiv Gandhi Institute of Biotechnology, India have found that curcumin improves sensitivity to 5-fluorouracil in breast cancer cells. 5-fluorouracil (5-FU) works by inhibiting enzymes that are essential for DNA repair and thus causes cell death but the cancer cells develop resistance towards it. This study showed that curcumin reverses such changes and improves the efficacy of 5-FU. Curcumin is proven to exert anti-tumor effect against breast cancer and it simultaneously reverses multidrug resistance. Combination of doxorubicin and curcumin nanoparticles is found to reverse drug resistance and be therapeutically effective against adriamycin resistant breast cancer cells. Curcumin and its related compounds are to increase sensitivity of resistant breast cancer cells to doxorubicin and tamoxifen (drug for hormone resistant breast cancer). A clinical trial was conducted to ascertain the dose of curcumin required to treat advanced or metastatic breast cancer. According to this trial a dose of 6000mg/day for 7 days every 3 weeks is recommended along with standard dose of docetaxel. 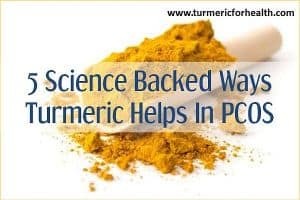 A study by researchers at Northeastern University, Boston revealed that curcumin and paclitaxel together increased toxicity in resistant as well as non resistant ovarian cancer cells. Curcumin lowered the activity of nuclear factor –kappaB, protein that is essential for cell survival and also reduced the expression of proteins that cause drug resistance. Similar results have been proven for the same combination but on cervical cancer cells. Esophageal cancer is cancer of the food pipe that connects your mouth to your stomach. It can occur in the squamous cells-flat cells lining the food pipe. Curcumin is proven to strengthen the anti-tumor activity of 5-Flurouracil in such cancer cells. Esophageal adenocarcinoma occurs in the mucus secreting glands of the food pipe. Curcumin increases sensitivity of esophageal adenocarcinoma cells to 5-fluorouracil and cisplastin. Colon cancer is cancer of the large intestine. Studies prove that curcumin sensitizes advanced colon cancer cells to trioxirane (an experimental anticancer drug), 5-flurouracil, oxaliplatin and dasatinib. A clinical trial was conducted to determine dosage of curcumin for colon cancer. Dose was initially started at 500mg daily and elevated to 1-2g subsequently in absence of toxicities. The patients were also treated with chemotherapeutic agents 5-fluorouracil and oxaliplatin. 11 out of 12 patients showed stable disease or partial response to treatment and side effects were minor. It is safe to conclude that curcumin can be used as an add-on to conventional treatment for colon cancer. Gastric cancer or cancer of the stomach is the fifth leading cause of cancer worldwide. Nuclear factor-kappaB is a protein that controls a number of processes in the body, one of them being cell survival and it is proven that its activity causes chemoresistance in gastric cancer. Curcumin prevents activation of nuclear factor-kappaB and reduces the expression of anti-apoptopic genes or genes that promote cell survival. This reduces chemoresistance of gastric cancer cells to doxorubicin and etoposide. Pancreas is an organ that produces digestive enzyme. Curcumin and its related compound increases sensitivity of gemcitabine in both sensitive and resistant pancreatic cancer cells. Clinical trials suggest that 8g oral curcumin is safe and effective along with gemcitabine treatment in patients with pancreatic cancer. Another study show that this combination showed a low but positive response in pancreatic cancer patients. Bioavailable formulation of curcumin, Theracurcumin is also found to be safe in treatment of pancreatic cancer. Curcumin increases sensitivity of chemotherapeutic drugs in treatment of colon cancer, pancreatic cancer and esophageal cancer. As per the studies, the drugs tested were: 5-flurouracil, oxaliplatin, gemcitabine, trioxirane and cisplastin. Curcumin nanoparticles are found to increase chemosensitivity of doxorubicin in treatment of hepatocellular carcinoma (type of liver cancer) and liver cancer. Studies showed that curcumin decreased the levels of genes necessary for cell survival and reduced the activity of proteins causing drug resistance. Also curcumin treatment increased the rate of apoptosis in combination with doxorubicin than doxorubicin alone. Curcumin increases sensitivity of liver cancer cells to doxorubicin. These classifications are made on the basis of type of cells affected. Research studies show that curcumin increases sensitivity of lung cancer cells to carboplatin, cisplastin and erlonitib. Animal studies show that curcumin and doxorubicin combination inhibits development of lung tumors. Curcumin increases cell death and prevents tumor development in lung cancer cells by increasing its sensitivity to chemotherapeutic agents. Glioblastoma is a type of brain tumor occurring in glial cells (cells that protect and support neurons). They are resistant to chemotherapy and radiation. Research shows that curcumin overcomes chemoresistance and radioresistance in glioblastoma cells. It reduces survival of cancerous cells by interfering in the activity of nuclear factor-kappaB and increases chemosensitivity of such cells to drugs like cisplatin, etoposide, camptothecin, and doxorubicin and also to radiation. β-elemene, a compound obtained from other Curcuma species, is proven to have anti-proliferative effects against glioblastoma cells and improves sensitivity to temozolomide by regulating the survivin pathway. Survivin is a protein that inhibits apoptosis or cell death. Curcumin can be an adjuvant to traditional chemotherapy and radiation treatment in brain cancer. Results of a clinical trial showed that curcuminoids were safe and effective as an adjuvant in treating cancer patients with solid tumors. It also reduced systemic inflammation. Turmeric powder along with imatinib therapy is found to be favourable in treatment of chronic myeloid leukaemia. 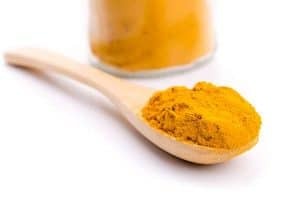 Turmeric and curcumin increase chemosensitivity in cancers like chronic myeloid leukaemia, multiple myeloma and bladder cancer. Turmeric can be include in diet as Golden Paste, Turmeric Milk and Turmeric Tea. Golden Paste combines turmeric with black pepper and oil which helps improve its absorption. Start with small doses such as ¼ tsp a day and if you do not observe any side effects increase the dose by ¼ tsp every week. The ideal dose is 1-2 tsp 2-3 times a day. If taking high doses of turmeric supplements then limit dietary turmeric to 1 tsp. Avoid taking Golden Paste or turmeric supplements on an empty stomach and close to the time of taking other medicines. Maintain 3-4 hour gap. Consult a doctor before taking turmeric supplements to rule out chances of allergies or interactions. Based on the kind of data we came across, a lot of cell culture studies prove curcumin’s potential in improving efficacy and sensitivity of chemotherapeutic drugs. 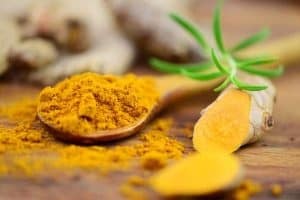 A few clinical studies have verified its chemosensitizing properties and the results suggest that curcumin is safe and well tolerated in cancer patients. In fact researchers suggest it as a functional food for cancer treatment or prevention and we to suggest including turmeric in your diet. 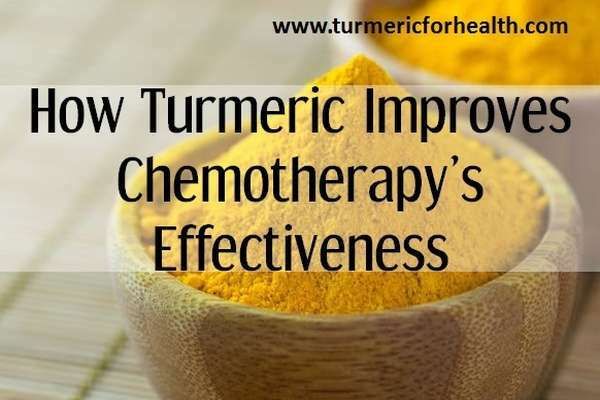 Turmeric supplements can help reverse drug resistance in cancer and improve sensitivity to chemotherapeutic agents. 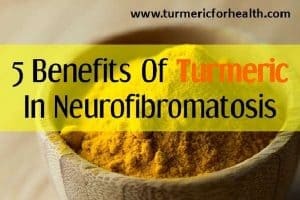 But that also means that your dose of chemotherapy needs to be monitored so consult your doctor before taking turmeric supplements. what’s the mechanism by which drug interaction occurs while taking a curcumin supplement with diabetic medications,blood thinning medications and gall bladder problems? My parents used to put turmeric in just about everything to cook being from Caribbean. However I didn’t realize how many other health benefits it has and even with cancer. Thanks for sharing this!